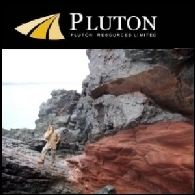 Rey Resources Limited is an Australia-based company engaged in the mineral resource exploration and mineral project evaluation. 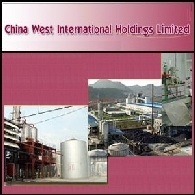 China West International Holdings Limited (ASX:CWH), a listing company in ASX has become the largest shareholder of Uranium Exploration Australia Limited (ASX:UXA) on 26 Oct 2010. 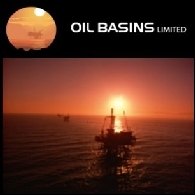 Oil Basins Limited (ASX:OBL) (OBLOA or Company) is pleased to present its June 2010 Quarterly Report. 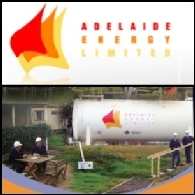 The Australian sharemarket closed slightly higher on Wednesday. Most of the early gains boosted by BHP Billiton&apos;s report of strong half-year production were offset by the losses after news that some Chinese banks have received verbal orders to stop lending for the rest of this month. At the close, the benchmark S&P/ASX200 index added 7 points, or 0.1 per cent, at 4868.2, while the broader All Ordinaries index gained 5.5 points, or 0.1 per cent, to 4895.1. The 20:20 Investor Series and Australian Securities Exchange brings together local and international mining companies, the investment community (both institutional and private) and related industry services in a highly focused resources investment forum.